Join us and spend few days on this Croatia sailing adventure around the most spectacular coastline in Europe. Sailing and Croatia go great together. 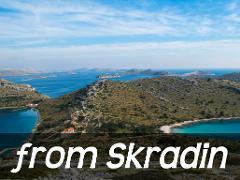 You are going to spend 3 or 4 nights on this Kornati sailing adventure around the most spectacular coastline in Europe. Also, you will discover tiny islands and secluded coves of Kornati National Park archipelago hidden in the sparkling blue Adriatic Sea. 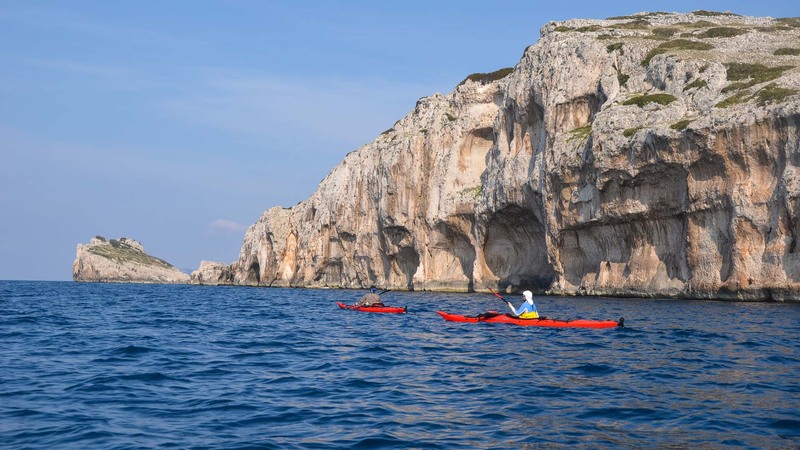 We start our sea kayaking expedition in Skradin. On the very edge of the Krka National Park. The coastal waters of Sibenik contain an archipelago of numerous islands. Therefore these little islands make marvelous getaways if you’re looking for a rustic vacation experience. The first destination we reach is the island Prvic. The first settlers were probably recluses. If you plan to spend your vacation in Croatia you will find a wide range of activity tours with Raftrek. While traveling aboard our catamaran, you will experience the true culture of the islands and people. 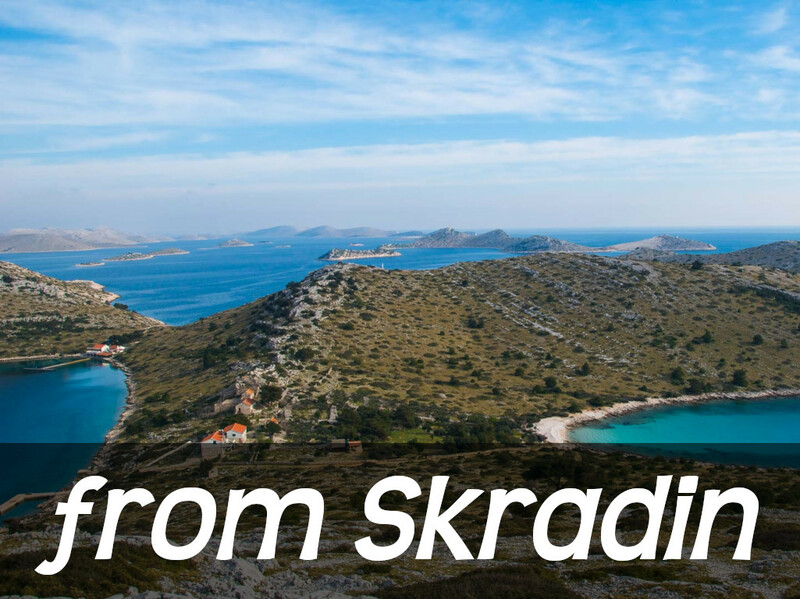 This Kornati sailing adventure holiday isn't just a sailing trip or an adventure package. We designed it for those who love being active, who admire the outdoors and appreciate ancient architecture and local tradition. Our yachts or kayaks are occasionally escorted by friendly dolphins or tuna that are often seen in the area. Croatia is alive with well-preserved old towns, castles, palaces, monuments and native architecture. Together with the tradition, folklore, art scenes and music, it is a unique and exotic place to discover. Group size: min 4 – max 10 per group; larger groups are on request. Accommodation: Our yacht is a Nautitech 44 catamaran with two double and two triple rooms, most with en-suite bathroom (only one is shared sometimes with the guide). The catamaran has beds for up to 10 passengers with a lot of deck space, comfort and very good sailing performance. Weather: Summers are typically hot and sunny. From May to October temperatures are comfortable for all activities. Rain is always a possibility in Croatia so it is essential to bring adequate rainwear and a jacket in case of inclement weather. NOTE: The prices are fixed in euros. This conversion is for comparison purposes only. The exact price in dollars or pounds is calculated on the day of booking according to the exchange rate of the Croatian National Bank. All prices are per person in EUR. Maximum number of participants:10 guests per group. Larger groups upon request. Minimum age:8 years if accompanied by parent(s). Single use rooms/cabins are available upon request with a 25% surcharge. Twin rooms/cabins are available upon request with a 10% surcharge per person. Air Travel: Please check with us before purchasing your airline tickets to ensure your trip has the necessary minimum number of participants required to operate. Meals: Meals tend to be fairly heavy on the meats and sausages, bread and pastries, pasta and dumplings. If you have special dietary needs, please let us know as soon as possible. Vegetarian diets can be accommodated but we recommend that you bring along with you some of your favorite protein snacks. We kindly ask you to arrive by 2pm (14h) to the Skradin marina. After boarding we will sail out northwest to Prvic island for an inspirational walk around this tiny island with no cars. Our modern catamaran yacht set for up to 10 passengers with, has a lot of deck space, comfort, and very good sailing performance. Our first stop for the night is Kaprij Island one of the many in the Sibenik archipelago. We will anchor for the night in one of the beautiful bays of the area for dinner and a swim. This morning we continue sailing north towards the Kornati Island National Park. We will explore its landscape, stone shapes, rocky bays and swim and SUP most of the day. IN the evening we arrive a little town on the very end of Dugi Otok (meaning Long Island) called Sali. A pleasant evening will be spent walking in the serene ambiance of the village, tasting local seafood and wines. 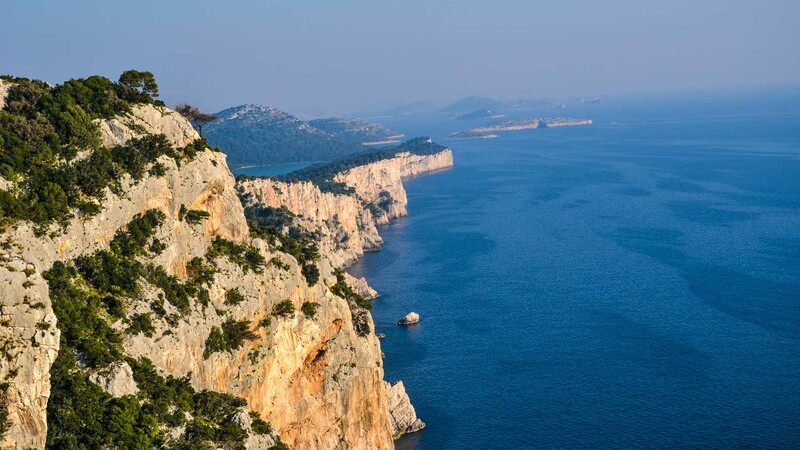 The third day of your holiday is reserved for Telascica Nature Park. Numerous small islet and a saltwater lake surrounded by a lush, green forest. This island a spectacular location for hiking, cycling, and swimming. We will cycle from the catamaran to the lake. In the late afternoon, we will sail towards the Island Zut and anchor in a quiet bay for the night. Today we spend the first part of the day sailing towards the mainland, Biograd or Vodice. (*optional drop off for clients spending 3 nights with us on the boat). 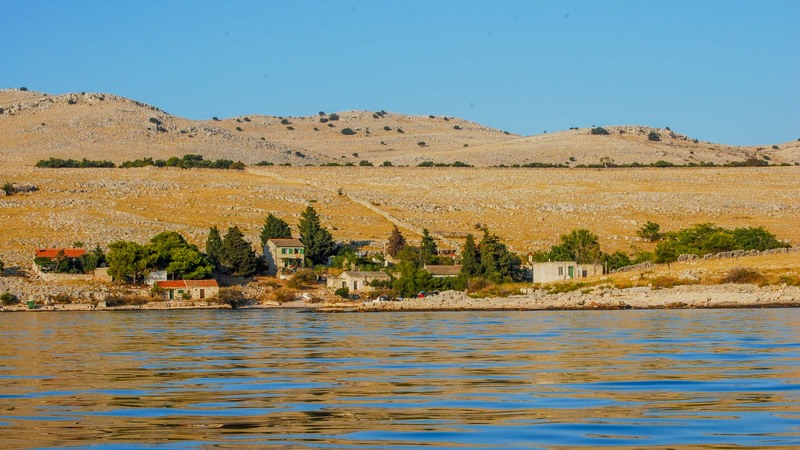 The afternoon we will sail to Murter Island and explore one of the most successful and famous olives making regions in Croatia. We will SUP and swim in great locations, reachable only by boat. In the late afternoon, we will sail towards the Island Zlarin and anchor in a quiet bay for the night. Transfer to Skradin for disembarking by 10 am. 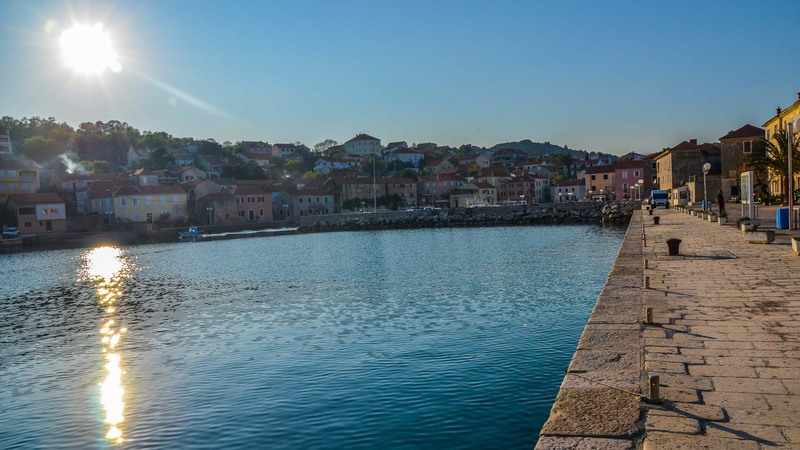 If you decide to spend more time in Croatia, our guides will be happy to recommend other beautiful places to visit - especially those you won’t find in tourist guidebooks. Not 100% sure? Send us an Inquiry. Huck Finn Adventure Travel Dubrovnik d.o.o. is the leading adventure travel organization and outfitter in Croatia. Our job as a company is to help you enjoy your stay in Croatia, to immerse you in the beautiful scenery and show you the exclusive sights of our country.